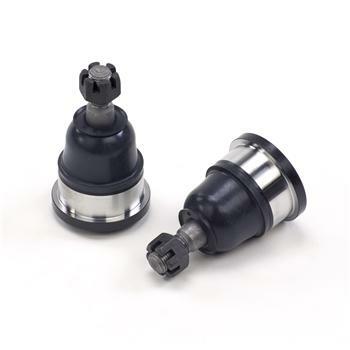 Hotchkis Lower Ball Joint Tall Spindle Conversion has Heat Treated Forged Ball Studs (SAE4140) Triple Lip Boot Seals Installed are CNC Milled with Zero Tolerance Fit SAE 1045 Steel for Strength and Increased Press Base. For 64-72 A-Body cars you must use the lower ball joint for the spindle you are going to use. (For example if you are using a 72 Camaro spindle you must use a new lower ball joint from the same car. Please look at the year list for applications below.) The new ball joint is turned down to 2.010 in. so that it will fit in the stock A-Body lower A-Arm.